Nationalism matters in China, and what matters in China matters to everyone. 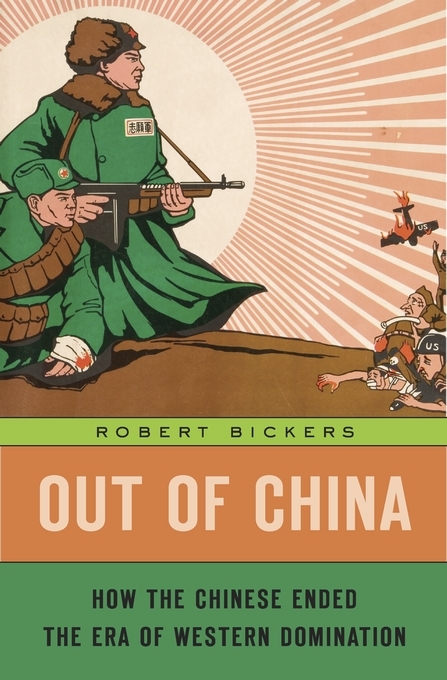 China’s new nationalism, Robert Bickers shows, is rooted not in its present power but in shameful memories of its former weaknesses. Invaded, humiliated, and looted in the nineteenth and twentieth centuries by foreign powers, China looks out at the twenty-first century through the lens of the past. History matters deeply to Beijing’s current rulers, and Out of China explains why. 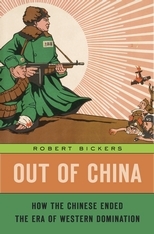 Bickers tracks the long, often agonizing process by which the Chinese regained control of their own country. He describes the corrupt, lurid modernity of prewar Shanghai, the often tiny patches of extraterritorial land controlled by foreign powers, the entrepôts of Hong Kong and Macao, and the myriad means—through armed threats, technology, and legal chicanery—by which China was kept subservient until, gradually, it emerged from Western control. This plural and partial subjugation of China is a story that involves not only European powers and Japan but also the United States. This complex history must be grasped not to atone for the sins of the past but to recognize China’s internationalized landscapes with all their contradictions, violence, cosmopolitanism, and ambitions. The story of the foreign presence in China in the nineteenth and twentieth centuries is too important to be left in the hands of the Chinese party-state and its approved script. Out of China is essential reading for anyone wishing to understand what shapes China’s view of the world in the twenty-first century.